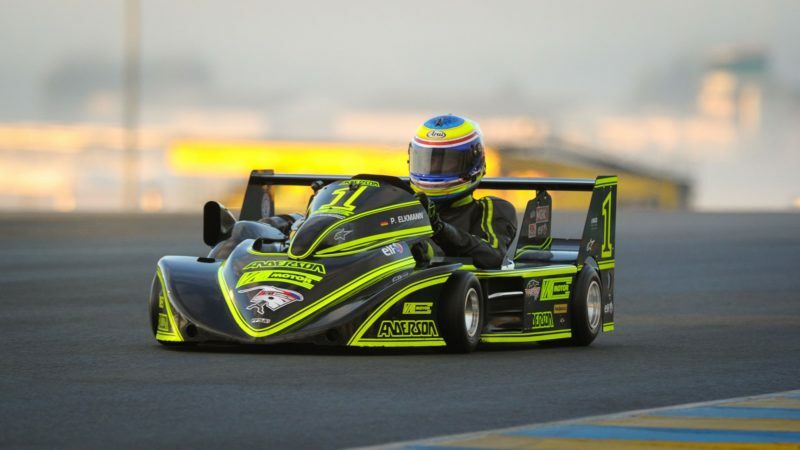 The conclusion of the FIA ​​Karting European Championship – Superkart was held on the Bugatti circuit of Le Mans on 27th and 28th October 2018. It was consistent with the predictions and lively between the protagonists with the highest entry of the year (29 Drivers), while a few dropouts were missed. In the Sarthe, the weekend was less rainy than forecast, but the cold wind marked the change of season. Although the Superkarts escaped the showers, the track was often still wet. Adam Kout (MS Kart / DEA) was on pole position after the second Qualifying session, fresh but drier, against Emmanuel Vinuales (MS Kart / VM). The two Germans Peter Elkmann (Anderson / VM) and Andreas Jost (Anderson / VM) had to settle for the second row. The rain had moved away for Race 1, but the wet tyres remained in place. Kout, Elkmann and Vinuales quickly dropped the pack led by Yannick De Brabander (MS Kart / VM) and Alexandre Sebastia (Anderson / DEA) who had started well. Jason Dredge (Anderson / PVP), Jost, not very fast at the start, and Daniel Clark (Anderson / VM) tried to follow them. Elkmann went on the attack on lap 4 and took the lead against Kout and Vinuales. As the tyres began to deteriorate, Sebastia overtook and dropped De Brabander who was trying to return at the end of the race, but in vain, while Elkmann was clearly ahead of Kout and Vinuales. At the start of the second race, Clark jumped to try to pass between the Drivers on the front row, but they reacted. Kout took the ascendancy, Vinuales followed suit with Elkmann. As before, the trio began to escape. Behind them, Jost passed De Brabander, followed by Clark. Elkmann was driving with caution, a second a lap slower than the leader, as only a retirement could deprive him of the title. When a third of the race had passed, the battle for the places of honour heated up. Sebastia joined the fight between De Brabander, Jost and Clark. He was penalised for not having respected a penalty imposed initially, and Sebastia retired. Kout was flying towards victory. In 2nd, Vinuales could be satisfied with his return to Competition with a double podium. Elkmann, in 3rd had never dropped so much ground, but he preferred to secure his second consecutive crown. Further back , De Brabander 4th was ahead of Jost.